Today I didn't feel like doing anything. So, I did something. I made bread. When making bread it’s kind of like doing nothing. You mix stuff together and let it rise. You can't go too far because you have to be around to knock it back before shaping it and letting it have a second rise. Then it's just a matter of baking it. There is just time in between those stages. In that time you can get a lot of nothing done. Like reading a book. 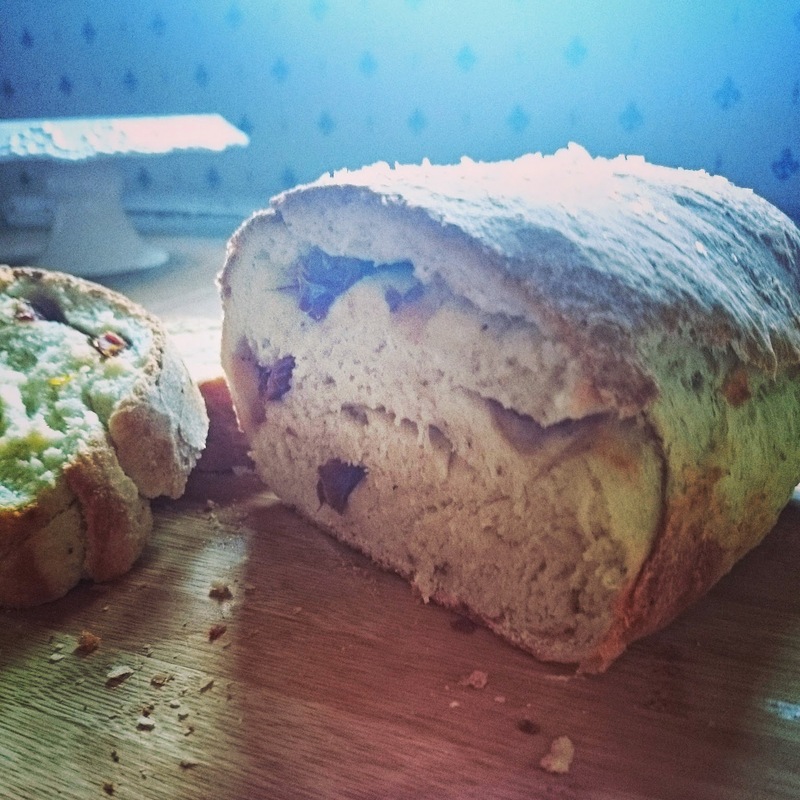 I finished reading The Storyteller by Jodi Picoult while making this bread. Which is fitting because there is a lot of bread making in the book. Definitely worth a read for bakers, historians, and mystery type readers. The thing about bread is that it’s not really hard to make. Putting the few ingredients together isn't complicated at all. However there are so many ways it could go wrong. If the water temperature is too hot or two cold it will not rise properly. If you over or under knead it affects the tightness of the dough. I don’t bake bread often enough to have it down where I know when to stop kneading or what the exact temperature feels like. I think that comes with experience and with experience comes you gain the knowledge one needs to create the perfect loaf of bread. Don’t get me wrong I get by, for instance this loaf has turned out great! It has a crust, with a soft (small) holey middle. 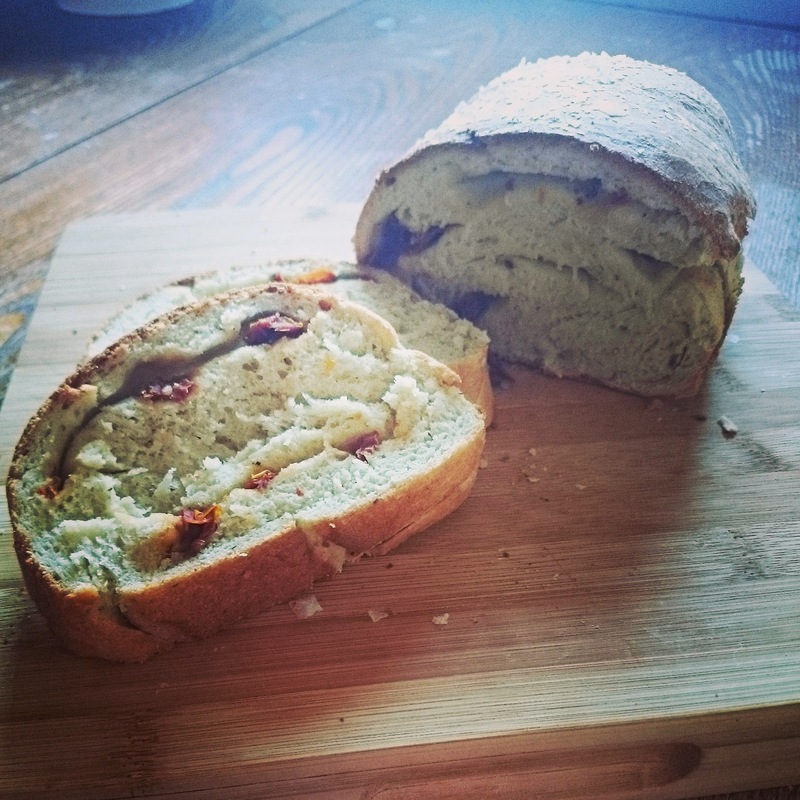 With the added pesto and sundried tomatoes it’s a real winner! It’s so good I just ate a slice all on it’s own. No butter or anything! That’s when you know it’s good bread. In a large bowl mix the flour, yeast, and salt before adding the pesto. Very gradually add the water, while gently bringing the dough together with your hand. If the dough is soft and brought together before all the water is used, just leave the extra water. If it’s not needed don’t use it. Knead for about 10 minutes by hand or for about 7 in a mixer on low speed. It shouldn’t look bumpy, instead it should look smooth and bouncy. Bring the dough together in a ball and place in an oiled bowl. Let rise in a warm place for about an hour or until it’s doubled in size. Grease a 2lb loaf tin with oil before knocking the risen dough back (knead the air out), gently flatten the dough out and scatter the chopped tomatoes over the top. Shape it into a sausage like loaf and place in the loaf tin. Leave again for about an hour or more in a warm place until it doubles in size. 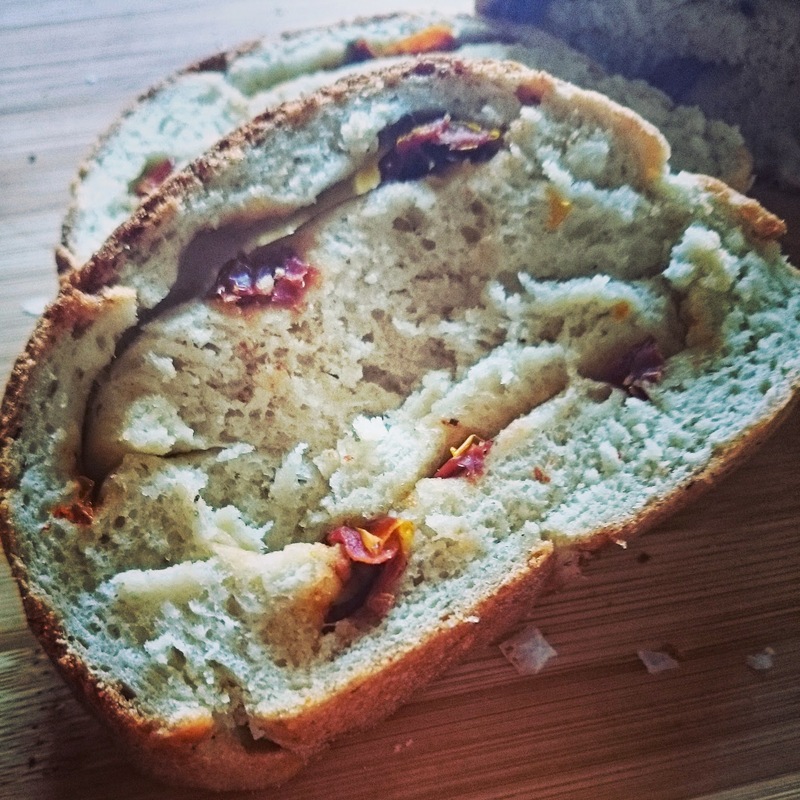 When it’s doubled heat the oven to 220C and brush a bit of the dried tomato oil on top and sprinkle a pinch of salt on top of the loaf. Bake for 30-35 minutes until when you “knock” on the bottom of the loaf it sounds hollow. 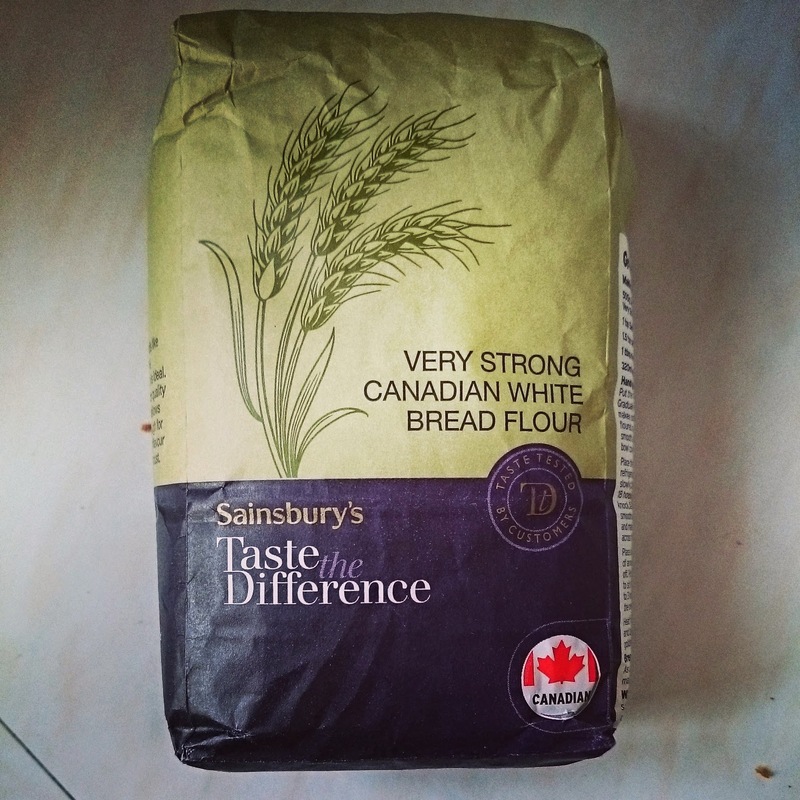 notes: In association with Sainsbury’s; they have a wide range of self-branded flours and for this recipe I used the Taste the Difference Very Strong Canadian White Bread Flour as mentioned above. They also have a nice range of bread mixes, which I tried and some how burnt? It's because I was trying to be clever. Check my instagram! Recipe is adapted from Bakes & Cakes magazine Summer 2014 edition. This sounds so amazing, I could totally use a warm toasty slice right now!